Some say it’s a weak opposition. Others say Stephen Harper is a centrist at heart. Heck, some even call him the most intelligent politician in Canadian history. Or, just maybe, it’s a lot simpler than any of that. Take this past week. First, Finance Minister Jim Flaherty unveils the federal budget for Canadians. The headlines are uniform in the daily papers of all political stripes: the budget contains very little details and no new information pertaining to several austerity-centric measures. It was as though he thought Canadians would shrug and move on. Then, just a few days later, our media inundates Canadians with, wait for it, panda bears. Yeah, that’s right. Our prime minister is tight lipped about the budget which affects all citizens, but he rolls out the red carpet and puppeteers the media talking heads for the symbolic gesture of China loaning our country cute little panda bears. Even Ron Burgundy would call that a slap in the face. So why is Prime Minister Harper so blatant in his lack of details with the public on vital domestic issues? The answer is two fold. 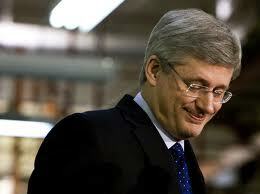 First, he believes Canadians are ruled by apathy and a lack of appetite for politics in general. History shows he’s probably right about that. Second, his entire style of governing depends on apathy. But that’s just the beginning. In order for a government to run itself on the collective apathy of a nation, it must run like a bloated PR agency. While most governments use public relations and media speak when handling the press, the Harper government uses these tools to handle the citizens of Canada, 24 hours a day, 7 days a week. They don’t even try to hide it anymore. During the days of a minority government Harper could afford to communicate just enough to get by, and even when he prorogued Parliament in order to stave off the warning of a coalition government, he simply retreated to 24 Sussex until apathy was in full force, then placed the blame squarely on the shoulders of separatists and their enablers. With the cost of the F-35 fighters jets he stretched out an explanation for so long, Canadians practically begged the media to stop reporting. Same with changes to EI and the Canadian pension plan. Same with the Nexen deal. In fact, giving China an all-access pass to our most profitable industry without giving Canadians details was only topped by the condescending manner in which he defended Canadian interests: by passing new rules on foreign takeovers the week AFTER the deal was sealed. After all, it would only be in the news cycle for a few days, then its off to Apathy Land again for Canadians. The worst part about leading this way is not how insulting it is to ordinary people. That’s just the accent. The real stinger is how majority government status prevents Harper and Co. from even trying to appear as if he is genuinely interested in the pulse of the nation. He isn’t, and until that pulse reads anything other than “in a coma”, Canadians should feel ashamed and responsible for everything this government does, quietly or not.